These Crochet and Tassel earrings are a super cute addition to any outfit. With the main part of them being formed by a tight crochet pattern and then the addition of tassels they are sure to change up any outfit. This button ring is simply formed with some wire, some pliers for shaping, a ring sizer and then the button for the final finishing touch. This can be designed to match any outfit by changing the colour of the wire or the button. This beaded bracelet is a gorgeous piece to top any outfit. With the simplicity of the chunky knot and the addition of some coloured beads who wouldn’t want to top their outfit with this. We’re loving macramé right now so it wouldn’t be right if we didn’t feature it. 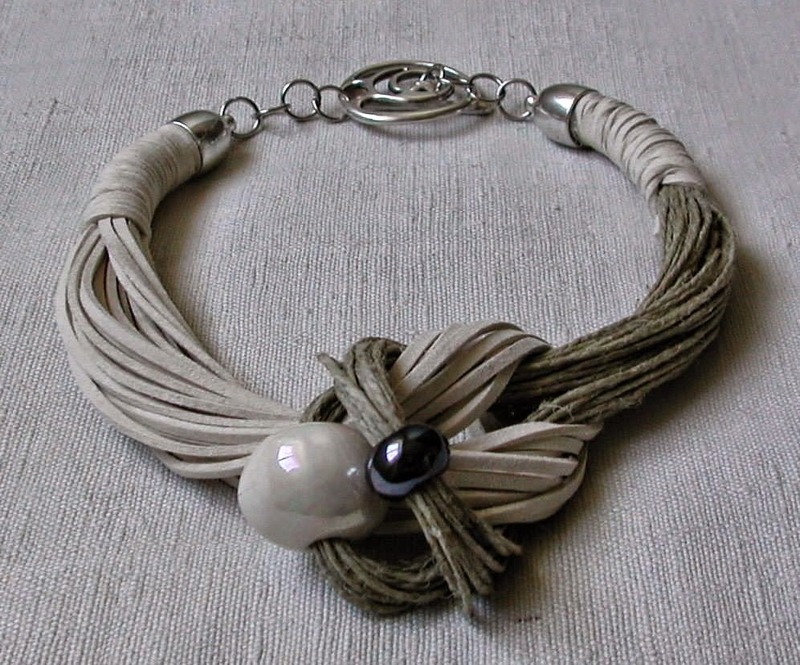 This Lia Griffith necklace is a great statement piece! It may be an idea to change the colour of the cord that’s used to create your necklace, so it matches with more outfits. We all have a favourite piece of jewellery that we’ve unfortunately had to part with due to it breaking. But we’ve always kept hold of the trinket parts as a ‘just in case’, right? Why not simply add the trinkets to a safety pin and complete your outfit with a personalised brooch? Enjoy topping off your outfits with some fun DIY jewellery ideas. We’ll be posting more inspirational ideas on our blog so make sure you check back.